Ecolabels are intended to guide consumers in their purchasing decision by providing reliable and trustworthy information concerning a product’s impact on the environment and health. Recognised labels indicate independently-tested product quality together with proof of environmentally-sound and sustainable manufacturing. According to the European Producers of Laminate Flooring (EPLF), one particular ecolabel that is expected to gain significance in the flooring sector is the revised version of the “EU Ecolabel for wood-, cork- and bamboo-based floor coverings”, which came into effect at the end of January 2017 and which naturally includes laminate flooring. Experts from the EPLF were among those involved in the complex technical preparation work. The Blue Angel (“Der Blaue Engel”) has become a recognised brand for quality, low-emission products. The label was introduced in Germany in 1978 and across the globe it is known as the first and therefore oldest ecolabel for communicating products that are especially kind to the environment when considered against comparable products. 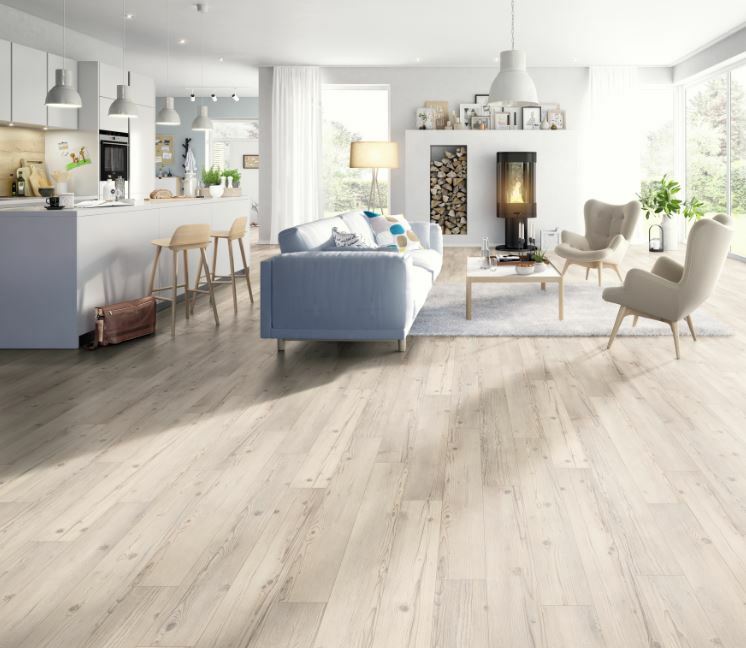 The familiarity that consumers have with the label is reflected in the adoption and use of the mark in the European laminate flooring sector, with 11 out of 17 EPLF producers capitalising on the good reputation of the ecolabel. The entire lifecycle of a product is taken into consideration before the Blue Angel ecolabel is awarded. First and foremost, the aim is to promote the use of wood from sustainably managed forests and low-emission wood-based products. The EU Ecolabel, likewise a voluntary scheme and known also as the “EU Flower”, was set up by the European Commission and officially introduced in 1992 by means of EU regulation EC 880/92. The EU Ecolabel focuses on environmental compatibility, and being a voluntary label, in some areas it extends beyond existing statutory regulations. The EU Ecolabel requirements for chemicals are comparably stricter: certain restricted chemicals are completely prohibited, or the maximum allowed limit values are set lower than those stipulated within the framework of the corresponding laws inside the EU, e.g. the use of flame retardants has been prohibited and the content of VOCs (Volatile Organic Compounds) permitted has been reduced. For more information, visit www.eplf.com to whom thanks and acknowledgement are given.